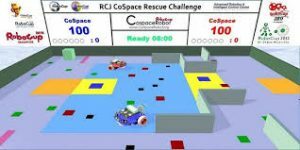 When I first prepared for teaching skills relevant to CoSpace Rescue I thought this would be a relatively poor platform for learning proper software engineering techniques and computational thinking. After teaching CoSpace-based curriculum for a few months in both Primary (Zhenghua) and Secondary (Pei Hwa) CCAs I have to admit the virtual simulation platform is starting to grow on me. Unfortunately, as I have become more enthusiastic about the CoSpace framework, I’ve also simultaneously realized that my first instincts about it are also true. As a gamification system for coding, CoSpace Rescue works well. For the Primary School level, the GUI really helps in removing obstacles to getting started, as opposed to an all-text-based coding environment. Kids can quickly add rules and test various event-based decision trees, without knowing any coding language. They quickly internalize boolean operator concepts, and competing decision priorities and choices. It isn’t a very big jump from that to utilizing state variables to create simple state machines. Still, it has been challenging to get students used to this environment to shed the security and comfort of the game GUI with the freedom and efficiency of pure and abstract C coding. Without the ability to abstract from the Simulation Gaming environment to the underlying C code, the students are unable to make the leap of faith and leap of computational confidence to go hacking. That’s where the benefits of the platform start hitting a serious wall – students inculcated in nothing else for several years turn into great CoSpace Rescue developers, but not great developers… A work in progress. 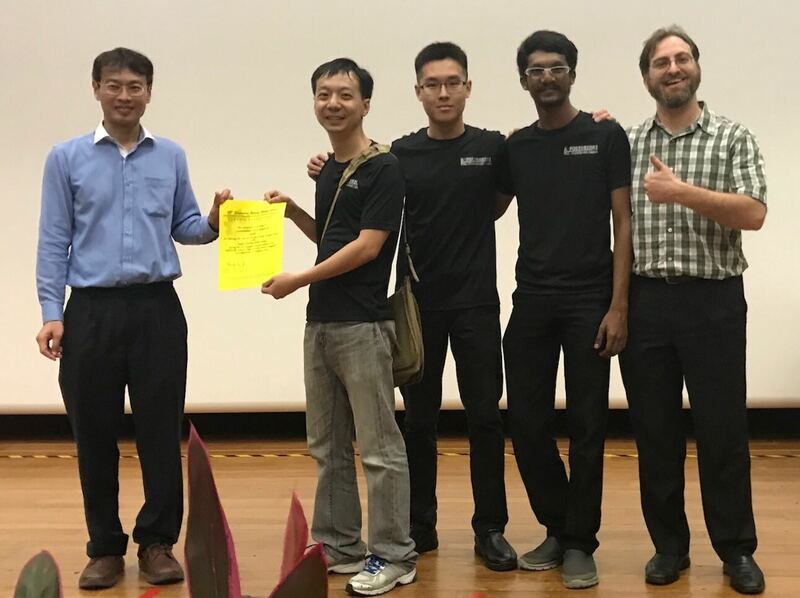 Still, I’m proud of the Junior team at Zhenghua who managed to clinch the ambiguous “Judge’s Award”! On Thursday, 1 March, we brought two teams from LEGO Education’s own collaboration space – Innovation Labs at the Science Center. 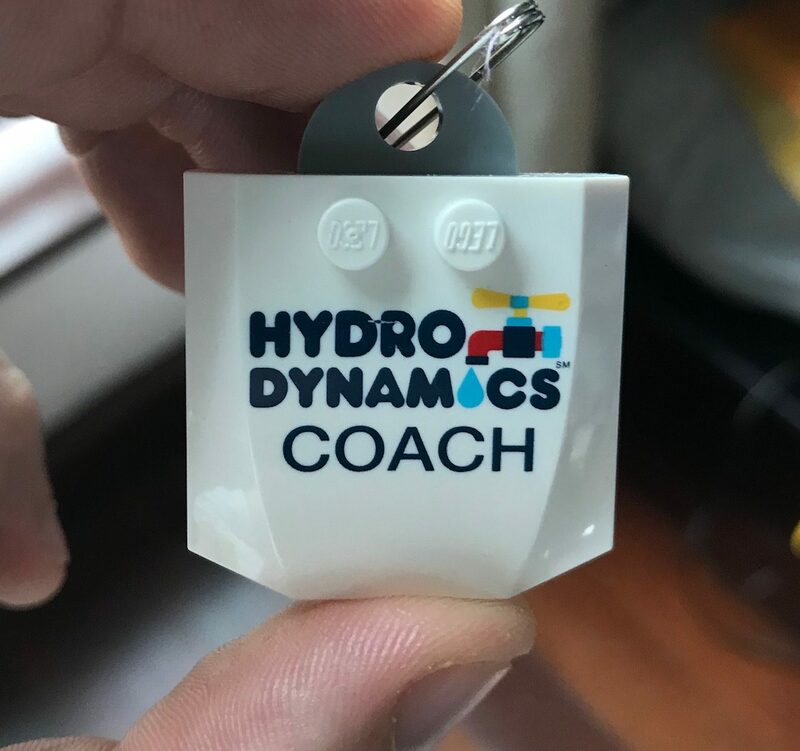 The experience of coaching a group of disparate primary school children from various schools and backgrounds proved more challenging than I initially thought. There was a lot of tension, angst, and misunderstanding as we tried to get 8 kids to gel as two teams over a short period of time, where we barely had enough sessions to get the kids ready for the competition. Luckily, some of the parents really stepped up to support us and the kids through the process. The parental dimension added some of its own challenges, but overall it really helped the kids see the effort as important, relevant, and valuable. 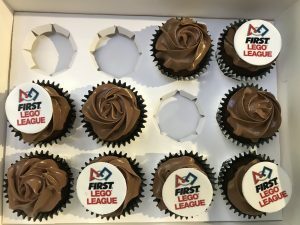 The adults kept the kids fed, helped getting them focused and attentive, and even suggested design ideas that the kids were free to do with as they pleased. Finally, in the last week after Chinese New Year, the teams started kicking into high gear and got their acts together. By the end of our last session, we had the kids running through a mock competition round. Spirits were a bit low as the teams could not complete more than 3-4 missions each per round. Still, the teams seemed to perform fairly well with their presentations, and had some success and luck in round 1, so that one team managed to make it to finals. During finals, the team went the extra mile and managed to complete a round with 100+ points – getting closer to Secondary school averages. The competition doesn’t have separate divisions for the Secondary and Primary levels, so kudos to the kids for trying their best against Goliaths! 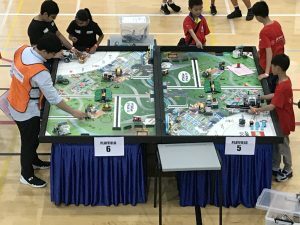 We’ve been asked to temporarily tweak the recreational LEGO Robotics CCA at Temasek Primary into a hybrid of two CCA programs – one recreational and one focused on a design & innovation competition based on micro:bits. Luckily we have two trainers in this program, so each of us can maintain focus on a different program. 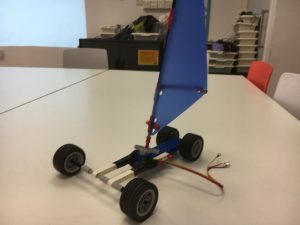 For micro:bits, we created two teams – SailTrain & FilterBoat. 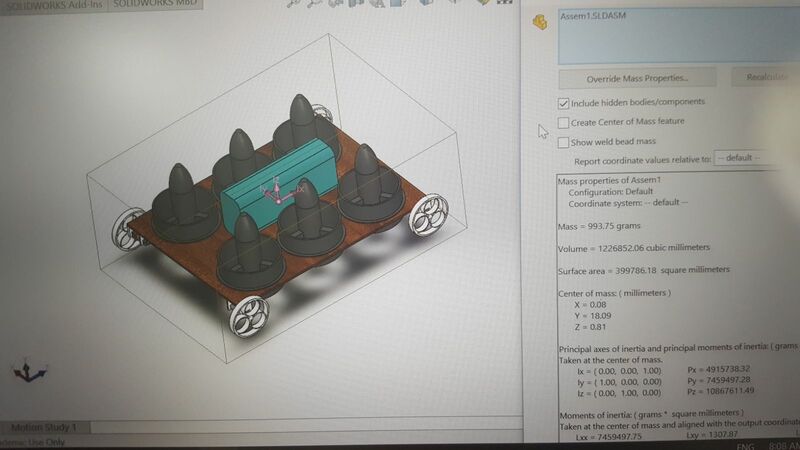 SailTrain – An all-girls team was already working on a LEGO Sail Car from an older education set (not EV3). 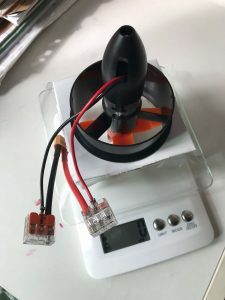 Using the basic design, we are adding a micro:bit driven servo motor to control the rotation of the mast and the direction of the sail. The concept is a Renewable Energy-Powered Commuter Transport. The sail is wind-powered, but the miro:bit/servo will be powered by Solar Panels. If there is no wind, solar-stored power can be diverted to normal rotary actuators to drive axles/wheels directly. FilterBoat – P5 boys team who came up with this original idea of an autonomous boat for cleaning up the lakes and reservoirs of Singapore. The idea is based on various manual operations currently undergoing in various water bodies – for instance, see this relatively outdated operation. In comparison, a fleet of smaller autonomous boats based on the team’s design can be deployed to operate cleaning in a 24/7 operation along the various inland water bodies of Singapore. A unique and relatively realistic approach to automation and efficiency for a current real-world problem. There’s still a lot of work to be done to complete the projects, movies, and posters required for both teams, but the enthusiasm is now in place to get them over the finish line! The teams in both the competitive and recreational sides of the CCA are really enthusiastic about their various projects. 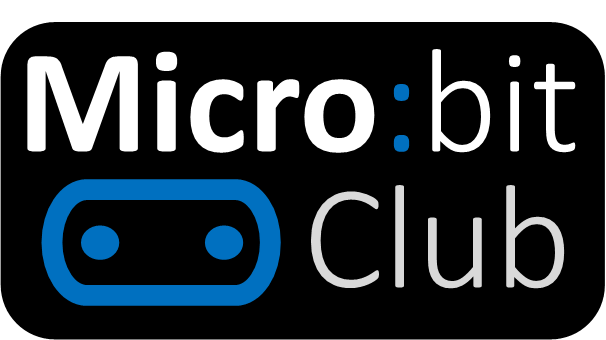 After a lukewarm reception to the idea of switching to a micro:bit competitive project, all of a sudden more teams want to participate – after seeing the cool prototypes being created! We managed to find the time for a half-day, multi-disciplinary workshop at the Muhammadiyah Welfare Home for at-risk youth. The computer lab at the center was limited to fourteen PC’s, so we had a group of fourteen kids, and we chose to use block programming as a medium, utilizing the popular and relatively cheap BBC micro:bits. Our team included Yoni (myself), Shenghao (resident hacker with only good intentions), and Zahab (master chemist with a heart of gold). We wasted little time on formalities and niceties and started the secondary school-aged kids on sequencing, repetition automation, and conditional foundations using the Microsoft-provided, and Google Blockly-based simulator – social enterprise can bring out the best in everyone! By the end of the first hour, the attendees had already designed a digital book of microMojis, original taglines, and built-in jingles, complete with pagination logic utilizing the micro:bit’s A & B buttons. After a short break, the class returned to begin their second challenge – authoring their original, digital music. At this point we handed out the actual micro:bits, so the students could start downloading their code from the simulator and into their own pocket PCs. The brand new :bits took a bit of wrangling and calibration to setup, but we were all back to coding in a few minutes. 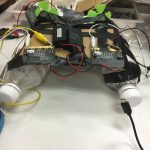 Once a student had completed their musical number, the obvious next question was – “how come my micro:bit doesn’t play sound?” Which is a perfect segue to explaining the available actuators and sensors on the micro:bit. As far as actuation, there’s not much more than the 5×5 LED matrix. So, everyone was relieved to find we brought alligator clips and piezo buzzers along. If we had more time, Zahab could probably have tantalized the students with her tales of piezoelectric effect on various materials. Alas, we were anxious to move on to our next mini-module. In the last hour, some students had enough foundation to be able to explore on their own and we allowed them the free time to do as they wish. We strongly believe in open-ended projects, self-exploration, learning by trial-and-error, and mastery through play. For instance, Zahab worked with one row on Radio blocks, which utilize Bluetooth broadcasting for inter-micro:bit communication. The kids in that row had fun messaging each other micro:tweets. For other students, we devised a mini-challenge to utilize Sprites in the Game blocks menu to create a simple Cat and Mouse game using various inputs and the LED matrix visualization. This was a stretch project, and not all completed it successfully. The looks of joy and appreciation on everyone’s face – after the initial cries of frustration – betrayed the fact that, by and large, our mission was accomplished. Another of our strong convictions and inherent lessons in our activities – it’s OK to fail! When we left, the attending staff member suggested we could return soon, as the fourteen students we managed to fit into the computer room were just a fraction of the boys who would be interested and could benefit from our programs. We look forward to meeting more of the Muhammadiyah community on our next visit! 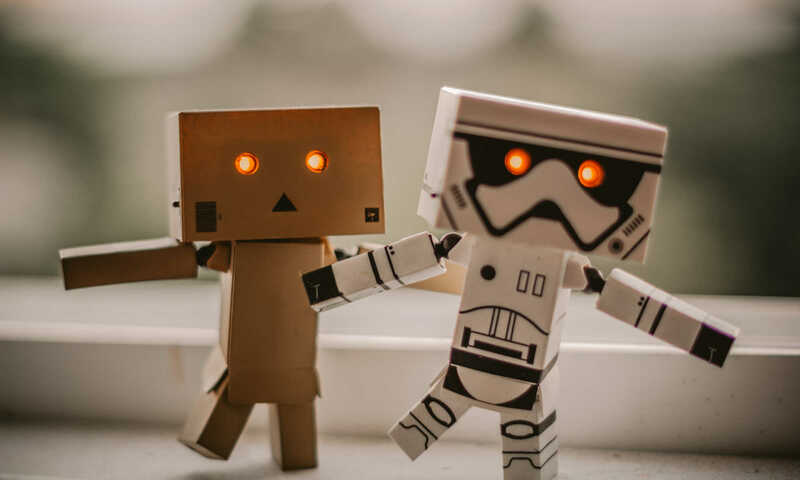 Robotics can be a useful gateway to building up an interest in STEM subjects among kids, but it is also a great way to engage with at-risk youth. Last week, Yoni and I visited Boys’ Town at Upper Bukit Timah to conduct a one-day course on Lego robotics. I haven’t done any volunteer work in a while – been too busy (…excuses; I know…) – and it was a great way to get started again. After a brief stumbling around due to a Google Maps error, I found myself in a small computer lab with 6 shelter kids sharing 3 Lego EV3 sets. The kids were energetic but well-behaved. Learn fast too! 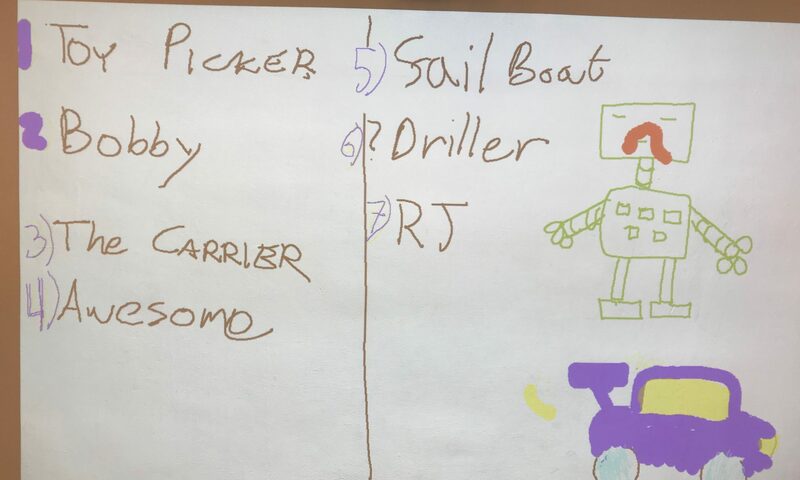 The first challenge we set for them was to build a simple wheeled robot, but one of the teams chose to build a much more challenging four-legged “Puppy” instead. I’ve always believed in encouraging kids to find their own interest and direction, and am glad to see them taking the initiative to choose a different path. The other two teams are no slouches either, and were adding new mechanisms and decorations to their basic robot. The most fun was had with the programming challenge. The kids had to race their robots around a bend, and were constantly measuring the distance and refining their program to get the best timing. One team found the trick of using a bigger wheel, but it didn’t take long for the others to learn the same. It so happened that it was harvest time for the durian tree in the Boys’ Town compound, and a durian party was planned for in the afternoon. Robot may be fun, but durians are irresistible… although not for me, as I’m one of the rare few Singaporeans who can’t stand the smell. Still, I’m not so cruel as to deny the kids their durians, so we took a few minutes away from the robots to enjoy the party. Yoni also brought along a Parrot Mambo Minidrone for the kids to try out, and it was also my first time having a hands-on experience with that particular model. With it’s height and horizontal movement sensors, it had amazing stability for a drone of its size and price; leagues ahead of my old Hubsan. For teaching STEM, it’s not as good a platform as an EV3 or a micro:bit; the limited input and output capabilities restrict the complexity of the program that can be written. Nevertheless, the kids had great fun programming the drone, and learned a bit about sequencing and movements in the process. The unexpected interruption with the durians left us with less time than planned, but the kids still managed to achieve most of the challenges. Most of them managed to complete the “Search and Locate” challenge, and were making good progress towards the “Grab and Go” challenge. 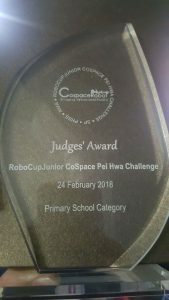 It was amazing watching the kids experimenting, discussing, thinking and concentrating, it’s what robotics does best; getting kids engaged in learning. The session would not have been possible without the kind support of the Boys’ Town staff (…sorry for the sticky tape marks on the floor!). Both Yoni and I would love to help out again and will be looking forward to our next visit.